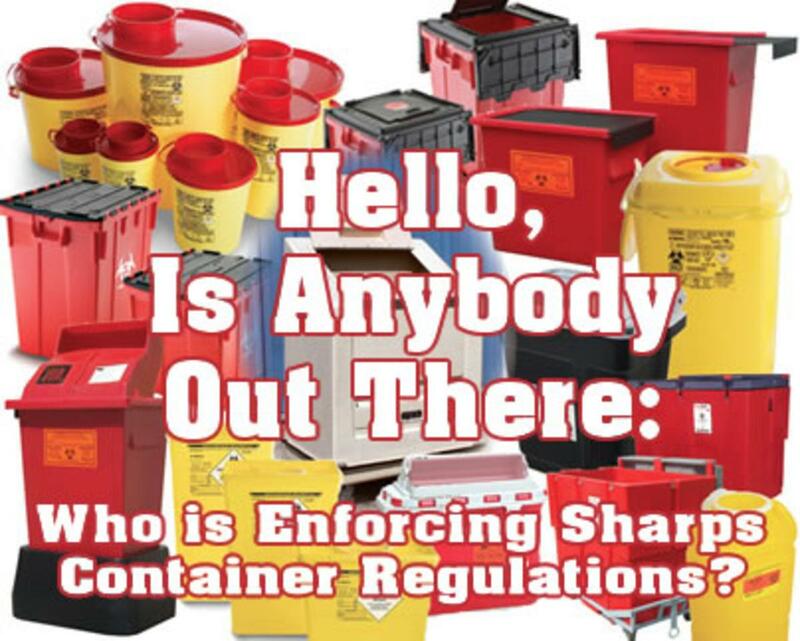 Who is Enforcing Sharps Container Regulations? This question, posed by Cindy Meissen, New Market Development Manager, Rehrig Pacific Co., Atlanta, Ga., was asked because manufacturers of sharps containers are subject to the U.S. Food and Drug Administration’s (FDA) elaborate medical device requirements and want to know whether their containers are being managed properly by users, especially for reusable containers. “If users are not required to follow manufacturer instructions, all of these requirements are like having a speed limit that no one is enforcing,” said Meissen. So, what are the requirements for sharps containers, what are different agencies enforcing, and why should a healthcare facility and waste management company follow manufacturer instructions? 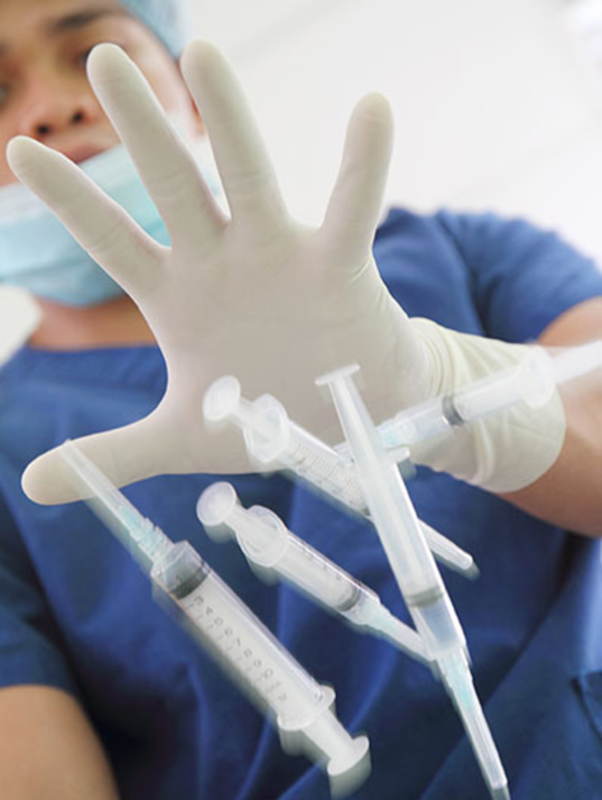 Sharps containers are regulated by the FDA as a Class II general hospital medical device through the authority of the Federal Food, Drug, and Cosmetic Act. The requirements are called the 510(k) process in reference to the applicable section of the act. A sharps container manufacturer must receive an order, in the form of a letter, from the FDA clearing the device for commercial distribution. This includes showing that the device is substantially equivalent to another device already legally marketed in the U.S. and is at least as safe and effective as that device. A manufacturer must follow design controls during device development and provide the FDA with design control documentation. These design controls include several stages of planning. In general, planning refers to design and development activities and defines the responsibility for implementation of the plan. For example, the plan must show the relationship between different groups or activities that have input in the process such as the role of a company’s engineering and marketing teams. As the development process proceeds, the plan must be reviewed, updated, and re-approved by a designated company employee. Procedures must be established to make sure the device is designed for its intended use. The FDA’s “Current Good Manufacturing Practices” regulations are part of the design quality control process. These requirements were added in the 1990s to comply with the Safe Medical Devices Act passed by the U.S. Congress to address device failure concerns. Before the first container is produced, final specifications, inspections and testing criteria must show that the device’s design and final product match. “All of the participants in the container’s design look at the results to make sure that their activities and concerns have been fully considered – engineering, marketing, sales – everyone,” said Meissen. Once the design is finalized, the manufacturer validates the design by producing a low volume of the container ensuring that the device conforms to its intended use. The container must be tested using actual or simulated use conditions and risk analysis. While not part of the regulatory requirements, the FDA has published a detailed list of questions product evaluators (healthcare facilities or waste disposal companies) should ask when selecting a sharps container that manufacturers should consider in the design process. These include puncture resistance, safety features, opening and closing mechanisms, potential for spillage, ease of use, safe transport, autoclaving capability, handling procedures, container color and warning labels, overfill protection, container access, mounting systems, and cost effectiveness. “At the end of the design stage, we must maintain a design history file that includes all required documentation,” Meissen stated. This file is not a place to dump documents, but, instead, includes an index and identifies the location of all applicable documents. Once the container is ready for production, labeling, tracking, cleaning, and reporting requirements must be followed. The FDA’s labeling requirements include information provided through markings on the device (fill line, warning labels), manufacturer instructions, advertising, and other promotional material. Samples of these labels are submitted to the FDA through the approval process. For reusable sharps containers, the FDA wants to see a tracking mechanism to allow users to determine the number of cycles a container can undergo before failure. This may be as simple as numbering the containers. Some manufacturers offer bar coding or radio frequency identification systems. Note that this tracking is not the formal tracking regulations where FDA will notify certain device manufacturers (defibrillators, heart valves) that they must implement a life-cycle tracking system for their device. The regulations are tricky. The FDA insists that a manufacturer provide a means of tracking along with instructions, but the regulations do not require the manufacturer or the user to actually track the containers. Instead, approvals make note of the tracking system provided to users and may state that the user can decide on whether to purchase that manufacturer’s cleaning equipment and tracking software. The tricky part is that while the FDA does not enforce tracking by users, the agency requires that a manufacturer maintain a relationship with users for purposes of reporting container material failure, i.e. when a medical device may have caused or contributed to a serious injury or death such as a needle stick from a sharp puncturing a container’s sidewall. Both the manufacturer and the user must file a report with the FDA. The manufacturer is required to investigate the cause of the injury. This means that healthcare facilities can follow manufacturer instructions such as container tracking and cleaning systems as part of an exposure control plan, but OSHA does not require that they do. However, potential liability can force a healthcare facility or disposal company to use the tracking system. For example, if a nurse gets stuck with a needle protruding from a container and sues for damages, an attorney may look at whether the container was used more times than the manufacturer specified. Other OSHA regulations that apply include a provision that reusable containers cannot be opened, emptied, or cleaned manually. The definition of manual is controversial because the definition refers to preventing “employees from exposure to the risk of percutaneous injury,” but does not specify whether a cheap screw driver or an expensive electronic opening system is required. In its guidance to regional administrators, OSHA recommends the use of a fully-automated system for opening, emptying, and cleaning reusable containers. Operating equipment designed by the container manufacturer may ensure compliance, but is not required. Like OSHA’s requirements, the results from the U.S. DOT’s regulations are mixed. For those healthcare facilities and waste company partners using a sharps container that is not FDA approved, a federal DOT inspection, will land them in hot water. The DOT also will check for a protocol or other documentation to make sure that a container is leak-proof and puncture-resistant. However, for reusable sharps containers, following a manufacturer’s tracking instructions may serve the purpose of the DOT’s container integrity regulations, but other evidence of compliance may also be acceptable. A significant difference between the OSHA and DOT requirements are the reporting regulations. OSHA requires reporting when an injury happens. The DOT requires reporting if a sharp has punctured the container even if no personal injury occurred. While there is a gap in enforcement regarding tracking and cleaning, FDA does level the playing field for manufacturers. Publicly-available enforcement actions of sharps containers have included three FDA warning letters to manufacturers for failure to comply with the 510(k) requirements and obtain an approval letter before marketing their container. These warning letters are detailed on company failures. In a 2006 letter, the FDA informed a company that the quality system regulations were not followed. Design changes were made and control procedures were not followed, documentation was incomplete, procedures did not ensure that manufacturer instructions were placed in the customer shipments, and procedures were not followed to ensure that the design matched production. A second warning letter in 2008 identified that a healthcare facility had contracted with a manufacturer to design a sharps insert system for their containers and did not follow Current Good Manufacturing Practices, including failure to designate a management representative to monitor the design process or to create a complaint evaluation process, lack of procedures for conducting quality audits or for implementing corrective and preventive actions, failure to perform evaluation tests when the contract manufacturer delivered the product, and failure to document changes to the design. This warning letter was the result of an FDA finding of a number of needle stick injuries that the facility failed to investigate. The third warning letter in 2008 also showed a failure to comply with good manufacturing practices, including lack of written quality procedures, failure to obtain approval for material-failure reporting procedures, no established auditing procedures, inaccurate container labels, and failure to maintain complaint files or to document the design process. In this situation, the company was a distributor with a contract arrangement with a manufacturer for a container that the distributor designed. Most of OSHA’s enforcement actions have been for failure to develop and comply with exposure control plans and failure to update these plans and test them for effectiveness. Needle stick injuries continue to plague healthcare providers. However, published enforcement actions have not included material failure investigations for sharps containers. The DOT’s actions were mostly for failure to use a sharps container and disposing of sharps directly into plastic red bags or cardboard boxes. Both the DOT and OSHA have found problems with container lids, mostly from failure to follow manufacturer procedures for closing the containers. Leaks have occurred from overfilling and from wheels not properly attached or using carts not designed for the containers. With these inconsistent enforcement actions, a manufacturer may question whether to spend the money to seek FDA approval for a reusable sharps container. Disposal companies may wonder about spending funds on tracking systems. But, there may be other reasons to invest. So it seems that the FDA regulates the quality of sharps containers by requiring manufacturers to produce a well-made product and advise users on how to maintain that quality through tracking, cleaning, and other management instructions. The agency fails to fully implement its regulations by not requiring users to follow the instructions or purchase compatible cleaning equipment and tracking tools. This leaves manufacturers with questions about compliance and responsibility. Other agencies have overlapping regulations for sharps containers, but do not fill in the gaps left by the FDA. Ultimately, users will follow manufacturer instructions and buy compatible cleaning equipment when they make good business sense, reduce potential liability, and support their environmental policies. Handling sharps in Maryland. Need help in Maryland with Sharps or needle waste management? Cotact us today for the most compliant and afforble Maryland Sharps disposal. • Immediately place used needles and other sharps in a sharps disposal container to reduce the risk of needle-sticks, cuts, or punctures from loose sharps. • Use an FDA-cleared sharps disposal container, if possible. If an FDA-cleared container isn’t available, some organizations and community guidelines recommend using a heavy-duty plastic household container (i.e. laundry detergent container) as an alternative. • Be prepared — carry a portable sharps disposal container for travel. • Follow your community guidelines for getting rid of your sharps disposal container. • Call your local trash or public health department (listed in the county and city government section of your phone book) to find out about sharps disposal programs in your area. • Ask your health care provider, veterinarian, local hospital or pharmacist o where and how you can obtain an FDA-cleared sharps disposal container, o if they can dispose of your used needles and other sharps, or o if they know of safe disposal programs near you. • Keep all needles and other sharps and sharps disposal containers out of reach of children and pets. • Throw needles and other sharps into the trash. • Flush needles and other sharps down the toilet. • Put needles and other sharps in your recycling bin — they are not recyclable. • Try to remove, bend, break, or recap needles used by another person. This can lead to accidental needle sticks, which may cause serious infections. • Attempt to remove the needle without a needle clipper device because the needles could fall, fly off, or get lost and injure someone. Making Montgomery County a safer, healthier, more sustainable place to live is good for all of us. Montgomery County Maryland, not just a leader, but raising the bar for sustainability for everyone. Working in Maryland is always exciting, having a community that is always forward looking for environmental options and a better way to operate. Maryland Sharps Disposal is excited to be a part of and help in this endeavor. If you need Sharps or needle disposal in Maryland or Montgomery County, contact us today. There’s a good reason for everyone to want a green Montgomery County. For some, it’s to preserve our natural beauty. For others, it’s to reduce our carbon footprint and live more sustainable. And for others, it’s about saving “green” money every day. Whatever your reason, you’ll find information and resources throughout this site to reach your green goals. Below is a quick summary of the site. Explore. Find Inspiration. 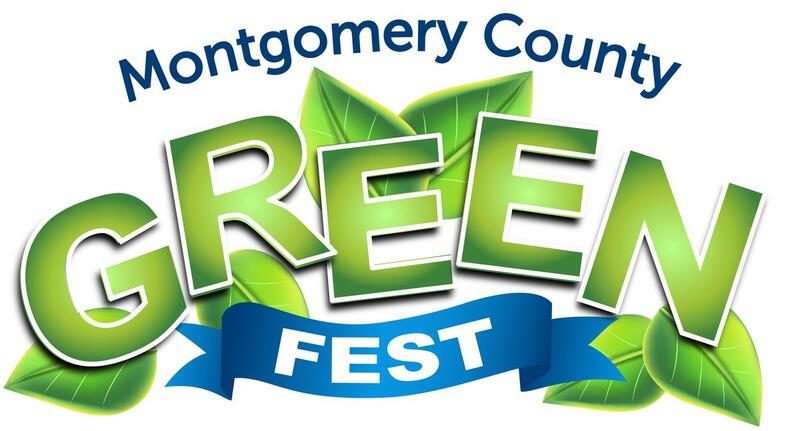 Be part of our Green Montgomery. Choosing a Sharps container or Sharps disposal service in Maryland? Ask these 8 questions to help determine the types of sharps containers you need in your Maryland Healthcare practice. For Maryland Sharps disposal, contact a permitted Maryland Sharps disposal company. 1. What will you do with your sharps containers? This may sound like a silly question. But start with the end in mind. Look ahead to the disposal service you’ll be using. Some companies and drugstores in Maryland sell sharps containers — without any disposal service. Filled sharps containers remain in homes, offices, and businesses — without a final destination in Maryland. If you are a business or healthcare facility in Maryland, you can’t use just “any old plastic jug” for your sharps disposal. The Occupational Safety & Health Administration (OSHA) requires that you use specific engineering and work practice controls, which includes suitable sharps disposal containers, to protect employees from blood borne pathogens. Additionally, the FDA requires that sharps containers be approved as class II medical devices. This approval process ensures that your containers have gone through a rigorous 510(k) approval. FDA-approved sharps containers must be properly labeled, closable, puncture-resistant, leak-proof on the sides and bottoms, and made using good manufacturing practices (GMP) that help ensure high quality products. As a Maryland business, you may find that it’s more efficient to purchase your biohazard disposal service with your containers. Multisite facilities, hospitals, and other large facilities may also want to consider reusable sharps containers with sharps management services. No matter what service you ultimately choose in Maryland, be sure to use sharps containers that will be accepted by the eventual disposal service. Keep in mind that, in order to ensure employee safety, some disposal service providers accept only their own containers or bins. For individuals at home, an all-inclusive program, such as the consumer needle disposal program offered by Stericycle, may be ideal. These programs allow at-home patients to safely discard sharps in containers AND dispose of the containers themselves through an approved mail back system. A mail-back system consists of an inner FDA-approved sharps container and special outer packaging stringently tested and approved by the US Postal Service for infectious substances (Hazard Class 6, Division 6.2). Among other requirements, the outer packaging must meet leak-proof, stacking, vibration, wet drop, cold drop, impact, puncture-resistant, temperature, absorbency, and watertight testing criteria. 2. If you are a business, what type of facility do you have? When it comes to sharps containers, needs vary widely. No matter where you work or live, you’ll want to buy sharps containers or bins that have lids designed to accommodate the largest sharps you use. Some Maryland healthcare facilities, such as infusion clinics or surgical centers, generate vast numbers and sizes of sharps each day. For example, workers in diagnostic labs may need containers with wide openings, allowing fast, convenient disposal and daily pickups. In contrast, some practitioners may need only quart-size containers and monthly pickups. You’ll also want containers that promote one-handed disposal and that prevent your hands from entering the sharps containers. This is especially true in pediatric and family practices where a rotating cylinder lid (called a “counterbalance lid”) is often recommended to keep tiny hands out of sharps containers. For other businesses, such as body art studios, mail back programs may be necessary. Typical disposal service routes may not coordinate with nighttime business hours. An experienced product specialist can offer you consultative guidance to help you properly identify the containers that will meet your needs. 3. What are you putting into your sharps containers? This may sound a bit like asking, “Who’s buried in Grant’s tomb?” But the reality is that some sharps do not belong in sharps containers. Chemotherapy needles, vials, bags, and tubing must be empty AND have less than 3% of the former weight remaining to be considered “RCRA-empty.” RCRA (pronounced WRECK-rah or RICK-rah) refers to an Environmental Protection Agency (EPA) designation for RCRA-hazardous wastes. Most RCRA-empty items containing trace chemo are more appropriately placed in “trace” chemotherapy containers (either trace chemo biohazard bags for non-sharps items or trace chemo biohazard sharps containers for sharps items, as appropriate). Containers with more than 3% of the original weight of chemotherapy waste still remaining, sometimes called “bulk” chemo waste, and are not trace chemo waste. Many are actually RCRA-hazardous waste. These wastes are required to be disposed in RCRA-hazardous waste containers. Other types of pharmaceuticals may also be deemed RCRA-hazardous waste. Keeping all pharmaceuticals out of sharps containers and other bio hazardous waste bins is a best practice and the law in some states. Special pharmaceutical waste containers are available for non-RCRA-hazardous pharmaceutical waste. Similarly, nonsharp biohazards or “soft” medical waste belongs in a red bag for disposal — not a sharps container. Conversely, don’t put loose sharps into other containers, such as red bags for disposal. 4. What other laws or regulations apply to you in Maryland? The Occupational Safety and Health Administration (OSHA) requires annual blood borne pathogens (BBP) training for employees who may be exposed to blood borne pathogens. Your state may have more specific, and often complex, requirements for waste disposal or training. Some states, such as California and Massachusetts, have regulations for home needle disposal. Furthermore, state laws for consumers are continuing to evolve and change. A competent sharps disposal service can help answer questions you may have about your state regulations. 5. How quickly will you accumulate Maryland sharps waste? Are you a new Maryland practitioner, starting your career? You may need a scalable program of containers and services. If you’re an existing office, how often do you change your containers? The answers to these questions, along with your state or facility guidelines, will help determine how many and what size containers you may need. 6. How many sharps use areas do you have? If you are a business or healthcare facility, systematically identify each exam room and other specific areas of your facility where sharps will be used. This will allow you easy access when discarding sharps. You’ll need storage space for unused sharps containers, so you can readily replace full containers. You’ll also need a secure place to store your used, filled sharps containers. 7. How else will you help ensure safe access to your sharps containers? Place your sharps containers within arms reach and label them with obvious biohazard warnings. Containers should be located away from wall switches, clear of impact zones, and free of any obstacles. The container opening and fill status line should be clearly visible prior to use. If you are using wall containers, mount them at 52"-56" for fill-line viewing and safe access. Your containers should be recognizable below eye level of your team members who will be using them. Be sure to work with your staff to identify issues and concerns they may have as part of your blood borne pathogens program. 8. Do you need fixed or mobile sharps containers? Sharps Compliance has launched a program designed to take medical waste out of the landfill and re-use it in the construction industry. The Houston-based medical waste management company, which handles used syringes, needles, lancets and other medical waste from more than 9 million individuals and small companies around the country, has unveiled the GREEN Waste Conversion Process. The company will process the 100,000 pounds of medical waste collected each day at its plant in Carthage, Texas, into PELLA-DRX, a clean, raw material used in the manufacture of concrete. According to Research and Markets, a recovering economy and aging population are combining to increase the demand for medical waste disposal. In addition, federal regulations are curtailing the use of incinerators to treat medical waste, forcing healthcare providers to either upgrade their incinerators or use commercial facilities such as landfills – both very expensive processes. Sharps collects used medical materials from home health agencies, retail clinics, small businesses, private practices, individuals and the government – pretty much any generator of medical waste outside the hospital or large healthcare setting. The waste is shipped to Sharps via the U.S. Postal Service, and the company spends roughly $100,000 a year disposing of that waste in landfills. “When you take medical waste to a landfill, it’s very, very, very expensive,” Tusa said. Company officials expect not only to eliminate their own waste disposal fees with this program, but also market the new material to cement manufacturers and other segments of the construction industry. They see this as a potential solution to a billion-dollar issue affecting healthcare providers of all sizes, from the single physician to the large network. Tusa said the program may be adopted by hospitals and large healthcare providers as well. Kunik said the program should appeal not only to healthcare providers looking to reduce waste disposal costs, but to everyone who wants to improve the environment. He pointed out that President Barack Obama has mandated that federal agencies cut their own contribution to global warming by 28 percent by 2020.